Page created: 5-Nov-2012, updated 10-Jan-2013, 21-Feb-2013, 19-Mar-2013, 15-May-2013, 4-Jun-2013, 21-Jun-2013, 9-Jul-2013, 12-Jul-2013, 16-Jul-2013, 18-Jul-2013, 7-Aug-2013, 25-Aug-2013, 27-Aug-2013, 16-Sep-2013, 17-Sep-2013, 19-Sep-2013. 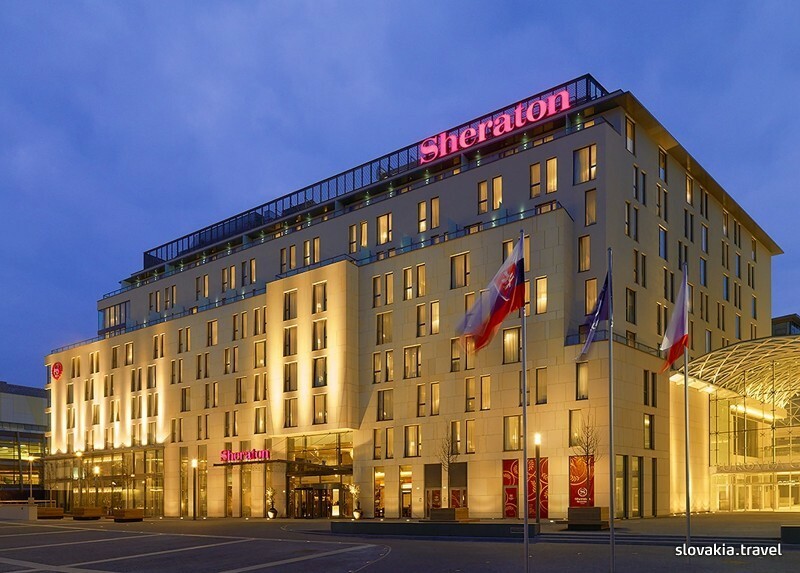 Hotel: The five-star Sheraton Bratislava, located in downtown Bratislava (www.sheratonbratislava.com). The hotel is 10 km from Bratislava International Airport (www.airportbratislava.sk) and 45 km (30 minutes by motorway) from Vienna International Airport (www.viennaairport.com). Bratislava is 55 minutes by train from Vienna (www.slovakrail.sk). There is also a boat (75 minutes) from Vienna to Bratislava (www.twincityliner.com). Perhaps the best way to get from the Vienna Airport to the Sheraton is by bus (www.slovaklines.sk) as it leaves directly from the Vienna Airport and arrives at the main bus station in Bratislava, which is a short taxi ride from the Sheraton. 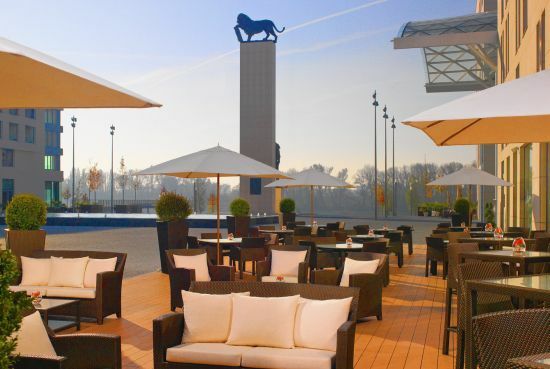 Eurovea Complex: The Sheraton Hotel is part of the Eurovea shopping center complex, directly on the Danube River, a 10-minute walk from the historical city center. The Eurovea Galleria has 200 shops, over 20 indoor and outdoor riverfront restaurants (including Slovak, Czech, Brazilian, Asian, French, Italian and international cuisine), pharmacies, supermarket and cinema. Hotel Amenities: French brasserie with summer terrace, spa, indoor swimming pool, sauna, steam room, 24-hour fitness center, 24-hour business center, cafe with coffee, cakes, salads, bagels, sandwiches and pastries. Room Amenities: Separate shower and bath, walk-in rainshower, plasma TV with satellite/cable channels, coffee- and tea-maker, air conditioning, 24-hour room service, minibar, high-speed Internet. Meeting Room Amenities: Ballroom (300 square meters), mineral water, pens, notepads, flipchart, data projector, screen, sound system with microphone, WiFi Internet. Conference Guest Room Rate: EUR 110 per night single, EUR 120 double, including buffet breakfast and VAT. The hotel conference fee package and the HFCC conference fee are in addition to the hotel guest room rate. Hotel Conference Fee Package: Package price of EUR 300 euros for the week will be added to your room account. It includes hotel conference fees, mineral water, morning coffee break, lunch buffet with soft drink, afternoon coffee break, free WiFi Internet in meeting rooms and guest rooms. 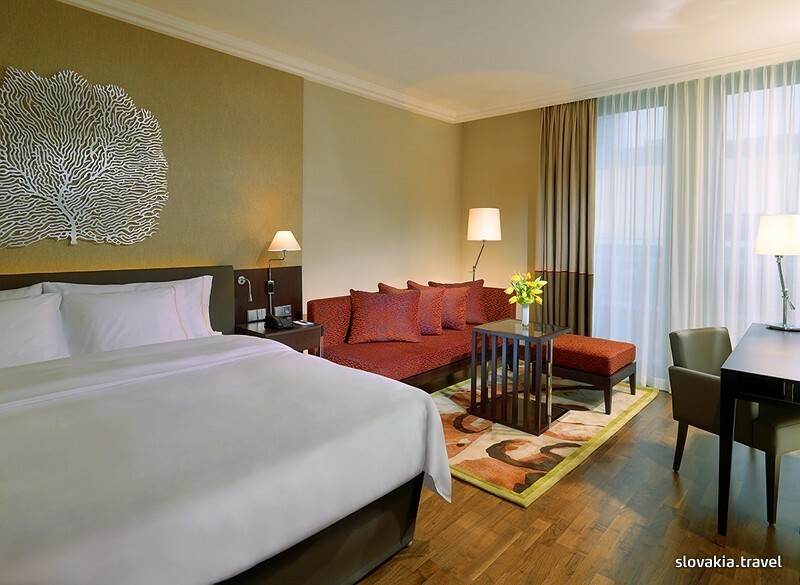 If you do not stay at the Sheraton, the hotel conference package fee must be paid to the Sheraton when you arrive. 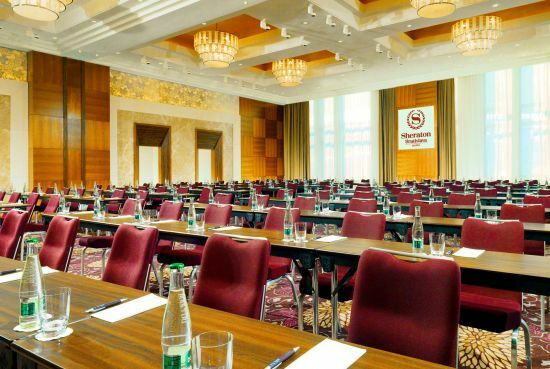 NOTE: The Sheraton Bratislava Hotel is now almost fully booked for the conference week. If you have trouble making a reservation via the online reservation link (for example, if it indicates that no rooms are available for the days you wish to stay), please contact us at jeff@wrmi.net and we will try to make a reservation for you, or we can suggest a nearby hotel with availability. 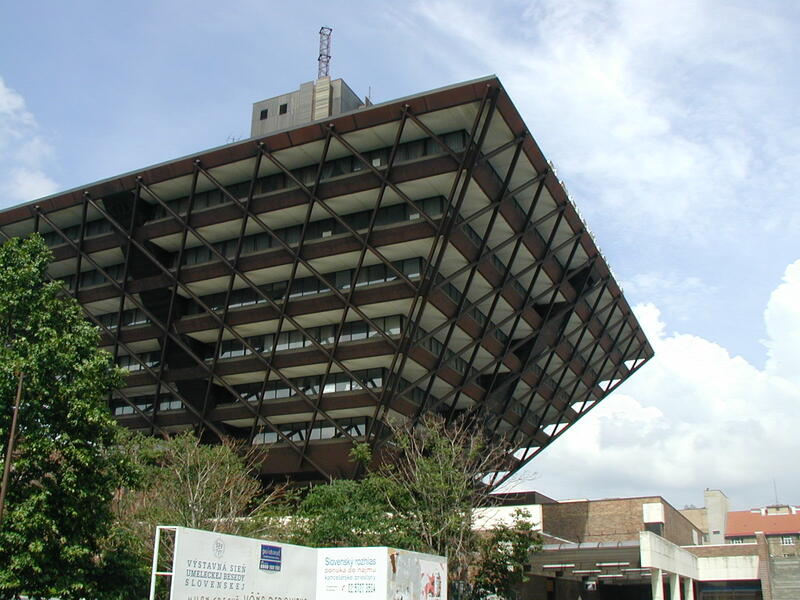 External Event: Radio Slovakia International will offer a station tour one afternoon after the conference program to the famous upside-down pyramid building housing Slovak Radio. 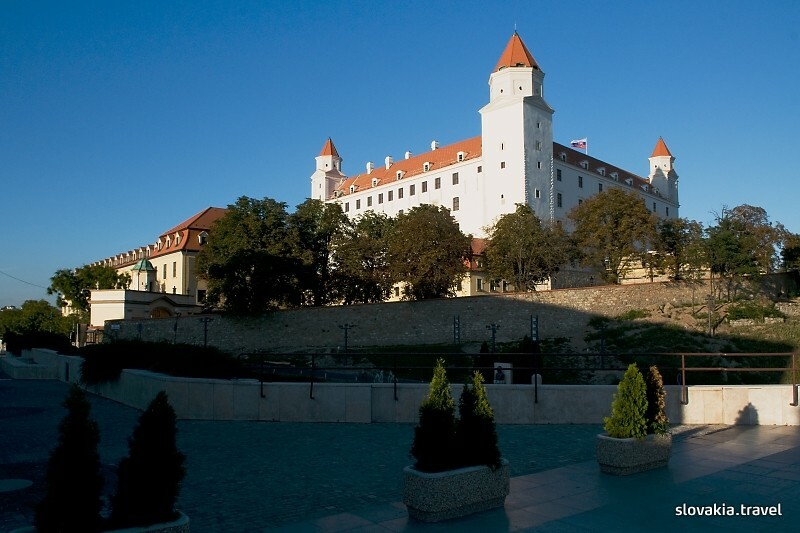 How to get to Bratislava: There are flights to Bratislava from some cities in Europe, but most people will probably fly to Vienna. Transportation from Vienna Airport to Bratislava: - NEW The easiest way to get from the Vienna airport to Bratislava is the Eurolines/Slovak Lines bus. It goes directly from the Vienna airport to the main bus station in Bratislava. Then it is a short taxi ride from the bus station to the Sheraton in Bratislava. The Eurolines/Slovak Lines bus normally leaves every hour on the half-hour (i.e. 1930, 2030, 2130, 2330, etc. ), and the trip takes 60 minutes to arrive at the Bratislava main bus station. The price for the bus is EUR 7.70 per person. Any of the information desks at the Vienna airport should be able to direct you to the bus departure area. The Sheraton also offers a personal transfer service. They will pick you up at the Vienna airport and take you directly to the Sheraton in Bratislava, but the charge is 98 euros for up to 3 persons, and you need to arrange it with them in advance by contacting: reservation.bratislava@sheraton.com. Hotel Parking: If you arrive by car, there is parking at the Eurovea center for 3 euros per hour or 30 euros per 24 hours.